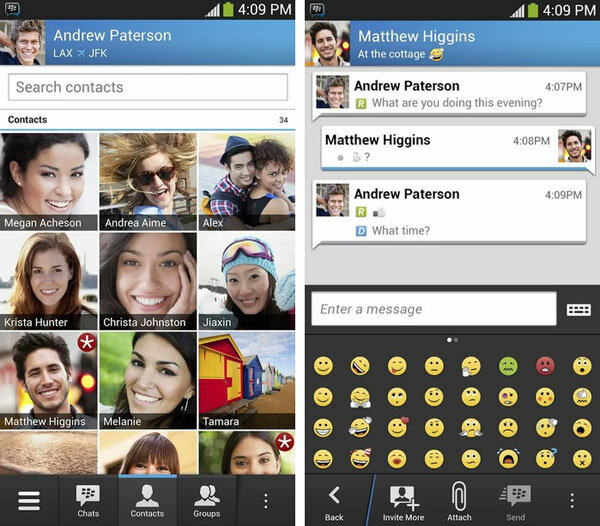 BlackBerry’s BBM messenger has finally started rolling out for Android and iOS. After several problems and numerous delays, the Canadian company has announced their official application. So guys, visit BBM.com and download the app, once installed, you must enter your email and wait for it to activate BBM. If you already have an account you can login with it or, if not, create a new and follow the instructions for it. BBM is Blackberry’s messenger and it is the best way to connect and share instant messages, pictures and more for free, in real time. Download BBM for android and iOS. Install the the app and put in your email ID, this will put you on the waiting list. They will send you a mail once your spot comes up. There is a waiting list for those who have not signed up through BBM.com and download through Google Play store still gives failures. However, if the user was already registered can use the application once the download from the stores. As according to the company, 6 million people have signed up for information about the launch since September. BBM app will face a competition with popular instant messaging clients like WhatsApp, Viber, Voxer, Google Hangouts, Facebook Messenger, Line, WeChat, Kakaotalk, and all other messaging apps. If you have installed BBM for Android, you may have noticed the presence of an annoying icon displayed permanently in the status bar .